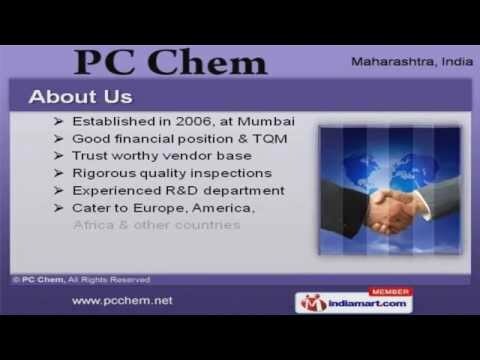 Welcome to PC Chem Exporter & Supplier of Organic Chemicals & Chemical Compounds The company was established in 2006 at Mumbai. Our good financial position & experienced R&D help us to cater Europe, America & other countries. Large production capacity, customized forms & expert workforce make us the preferred supplier in the industry. Our product list covers Chemical Compounds, Organic & Industrial Chemicals. We offer Chemical Compounds that are widely acclaimed in the market. Lithium Aluminium Hydrides offered by us are well known for their outstanding performance. Our Organic Chemicals are in huge demand across the global markets. We also offer Vinyl Nitriles at industry leading prices. Along with we provide Industrial Chemicals that are a class apart.